Lock up the pink glitter, pink pencils and pink paper or you may well be ‘pinked up’ after reading this pink-alious story. 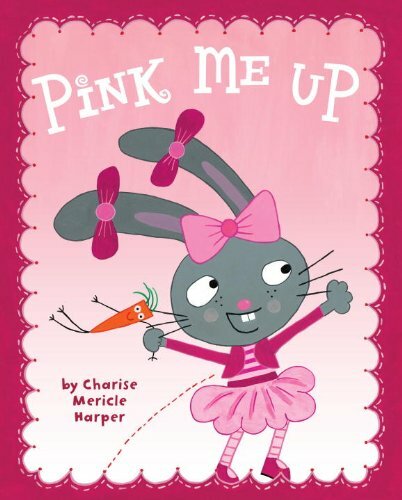 If you have a child that loves pink, you simply must introduce them to Violet Bunny, the pink heroine of Charise Mericle Harper’s story, Pink Me Up. Pink-obsessed Violet Bunny is fairly certain that attending the annual Pink Girls Pink-nic with her mother will be the best day ever. Violet and her mother have their thoroughly pink outfits planned and are looking forward to a pink-pink-pink girls day out. 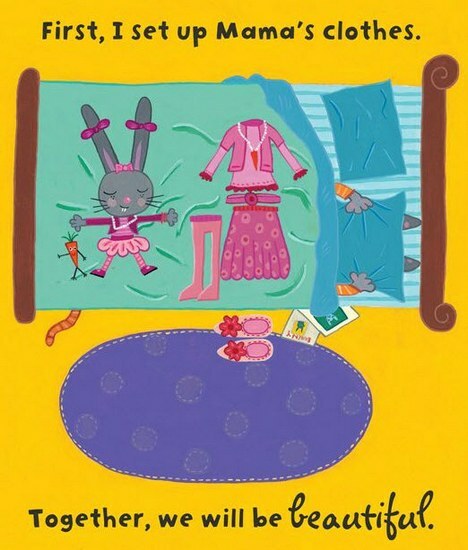 So when Mama wakes up with pink spots, Violet thinks the day is ruined – until Daddy offers to take Mama’s place. 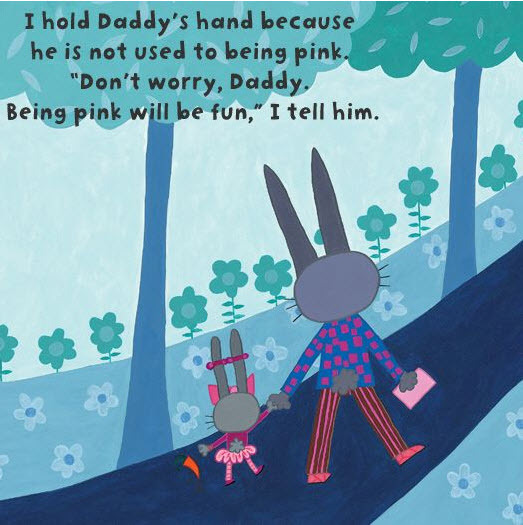 Violet gently points out that the plan won’t work because Daddy is a boy and not at all pink. Luckily, quick-thinking Daddy has an idea: “We just have to pink me up. I bet I can be as pink as you.” Violet is on a pink mission and with some pink tape, pink stickers and pink paper she transforms Daddy into a vision in pink – and to the delight of Violet, he’s the hit of the Pink-nic! This story is funny and has a simple message about creativity and problem-solving that is perfectly pitched for pre-schoolers. 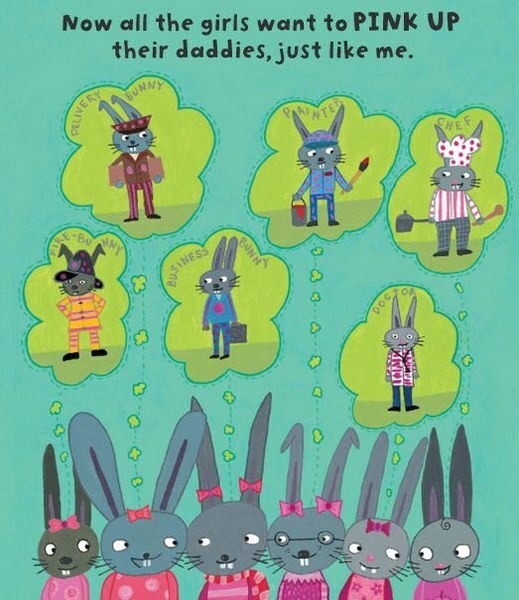 Fans of Fancy Nancy will particularly enjoy meeting Violet Bunny and I suspect will want to embark on a few of their own ‘pink it up’ projects. Pink Me Up is available for $13.50 from Book Depository, with free delivery to Australia.